In this week’s Voices of Travel podcast, host Ron Pradinuk will take you on a journey through a special part of Switzerland that’s perhaps not as well-known as some of the other regions. 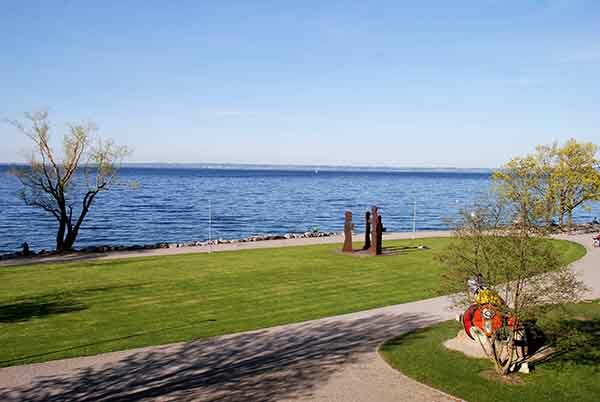 It’s the region of St. Gallen, with its historic UNESCO-recognized cathedral and nearby Lake Constance vacation area. Ron will take listeners on tours of a Chocolate factory, winery and a cheese shop that features more than 300 varieties of cheese. And he discovers that while the name Einstein might be associated with many things, few would suggest any connection to textiles. This podcast will tell you why. Traveling on the Swiss Travel System, Pradinuk visited a number of the communities around St. Gallen, and reports why it is such an impressive area to send clients.